Infantry Combat Tracking Teams, Engineer Mine Dog Teams, Engineer Explosive Detection Dog Teams, Army Military Police, RAAF Military Working Dog Teams & Special Operations Command Teams have served in numerous overseas conflicts & the pictures and stories reflect their overall history within the Australian Defence Force. Photos: 1. 2CER EDD’s in Afghanistan 2. Initial deployment of RAAF & MP MWD’s to East Timor 3. 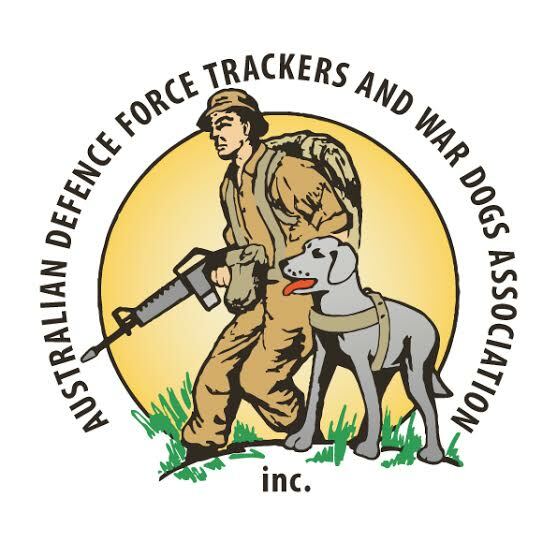 Tracker Dog Justin with Alan Duncan, 1RAR, Nui Dat, South Vietnam, 1968 4. RAAF MWD Faith 5. SO Devil (SASR) 6. MWD Monument & Memorial to Sapper Darren Smith & EDD Herbie at RSPCA Animal Campus, Wacol, Queensland.